Every day, 2 million tons of sewage and industrial and agricultural waste are poured into the world’s waters. The result is that more people die from unsafe water annually than from all forms of violence, including war. A new Pacific Institute report released by the United Nations Environment Programme (UNEP) for World Water Day, March 22, 2010, lays out steps and solutions to address our urgent water-quality challenges––and they start with awareness and will to action. 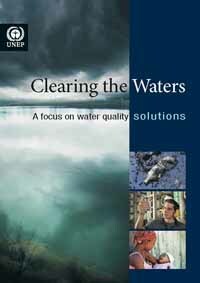 The new United Nations report, Clearing the Waters: A Focus on Water Quality Solutions, details how water quality is as important as water quantity for satisfying human and environmental needs, yet has received far less investment, scientific support, and public attention. Prepared by the Pacific Institute, one of the world’s leading nonprofit research organizations on freshwater issues, the UNEP report is part of the World Water Day 2010 effort to bring global attention to the need for clean, safe water––and action and policy to address water pollution. -put investor and consumer pressure on corporations and that pollute waterways.